A sign for the Pennsylvania Turnpike in Allentown. The Pennsylvania Turnpike was slick with soap Tuesday morning after a car collided with a tractor trailer carrying many gallons of dish soap. The crash occurred near Exton just after 3 a.m. and has forced road crews to close the eastbound lanes between the Valley Forge interchange and the Downingtown exit. NBC reported the spill was over a large area, so roads could be closed for quite some time. 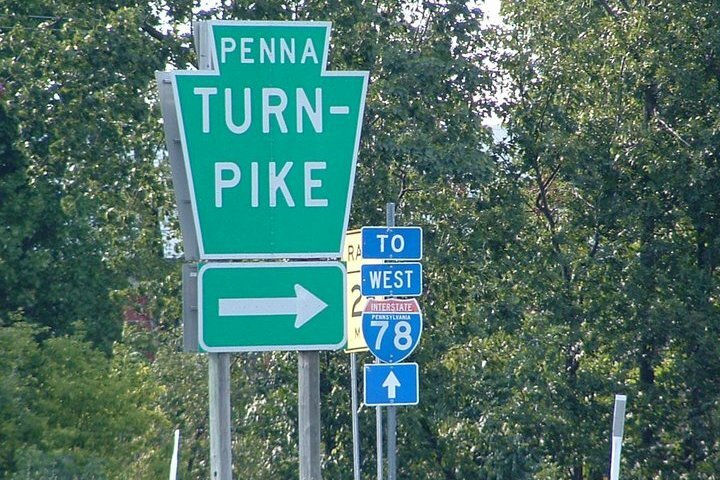 According to the turnpike commission on Twitter, drivers can get around the spill by taking Route 100 South to Route 30 East, then north onto 202 for 12 miles before getting on I-76 West. Then drivers can re-enter the turnpike at the Valley Forge (326) ramp.